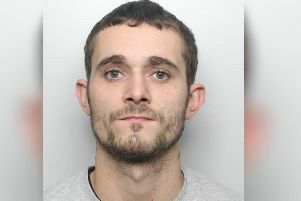 Two brothers from Halifax have been jailed for a premeditated late-night hammer attack which left their victim with fractures to his ribs, wrist and nose. Bradford Crown Court heard today that Hassan Mahmood recruited his university student brother Asim and others to go and find Sharaz Mohammed after a phone conversation back in September 2016. Judge David Hatton QC said Hassan Mahmood planned the attack and armed himself with a hammer before Mr Mohammed was confronted and chased through the streets near to his Halifax home. Hassan Mahmood, 25, hit their victim with the hammer repeatedly during a series of attacks as Mr Mohammed tried to flee. Judge Hatton said although Asim Mahmood, 22, was not the principal offender he played a "full and enthusiastic part" and he knew that his brother had the hammer with the intention of using it. "I am satisfied that this was, within the meaning of the guidelines, a Category One offence," he told they pair after a jury found them both guilty of causing grievous bodily with intent. "It was premeditated. It was a sustained and repeated attack...and it involved a very dangerous weapon which was used to strike his head and body." Hassan Mahmood, of Bubwith Grove, Halifax, was also found guilty by the jury of possessing the hammer and he was jailed for 10 years. His brother Asim, of Old Mill Grove, Halifax, was sentenced to nine years in prison.